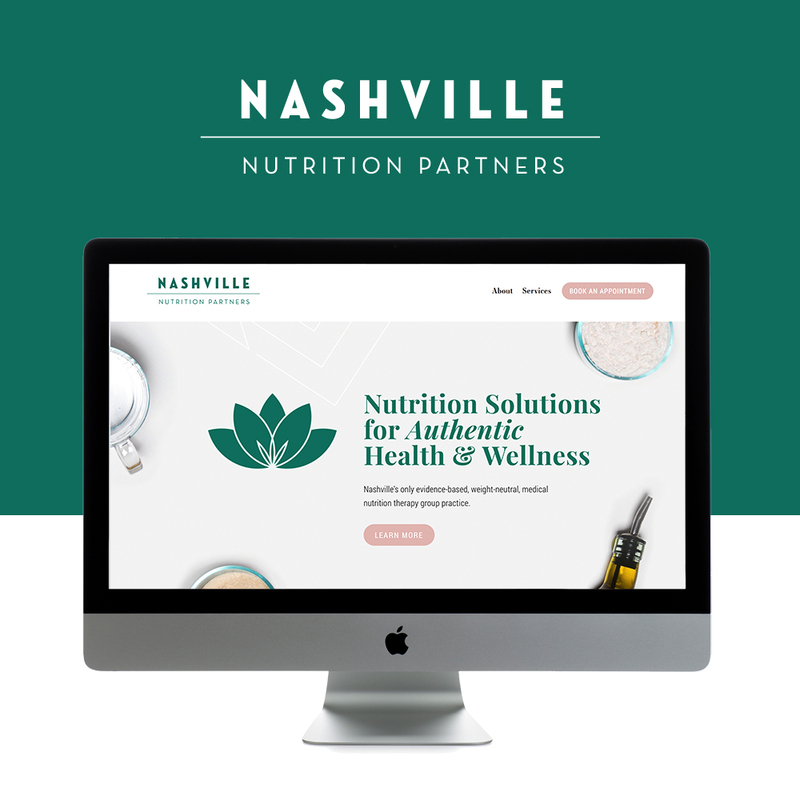 We loved working with the Nashville Nutrition Partners team on their new website! They are a team of dietitians and nutrition therapists in Nashville helping people transform their lives through health and wellness. We Restyled our business Template Aligned to give it an inspiring and inviting look! We’re so excited for the team and can’t wait to see how this new site helps launch their business! Nashville Nutrition Partners: The three of us had unique journeys that brought us to work in dietetics and nutrition--all the way from world hunger and food policy interests to personal experiences with type 1 diabetes and interests in various food movements. What brought us together as a group, and what drives our current practice, is helping people make peace with food and their bodies. We're super passionate about using nutrition therapy as a way to help people feel less crazy around food, and feel amazing in their bodies regardless of the size. Too often, nutrition and food information makes people feel more confused about what to eat and less secure in their body. We're on a mission to change that. Nashville Nutrition Partners: To be a Registered Dietitian Nutritionist, you have to at minimum have completed a bachelor of science degree in nutrition, completed one-year residency-type training (mostly in a hospital or other clinical setting), and then pass a board exam. On top of that, two of our dietitians also have masters of science degrees, and one has even taught nutrition at a university level. So the short answer is yes, lol. It's important for us to highlight our training because we currently see a LOT of clients who've been harmed by working with non-licensed nutritionists and coaches. Even if you have the best intentions, it can be very dangerous to a person's health when you're advising them outside your scope of practice. For the business side of what we do, 100% self-taught. Each of us have run successful small businesses before we decided to team up as a group nutrition therapy practice. Nashville Nutrition Partners: For nutrition: Diets do not work. Period. For business: There's not one source, one program, one degree, or one person who has all the answers for how you should run your business. You have to identify your unique needs and experience your own education. Nashville Nutrition Partners: We all realized at different points in our careers that if we wanted to respond to the latest research and practice in new and progressive ways (like non-diet, weight neutral nutrition therapy), it wasn't going to happen within a large healthcare corporation. It just takes a long time for paradigm shifts to make changes there. The realization that we should practice as a group came after we recognized how much we were already treating each other like co-workers. We'd review cases with each other, call to ask for ideas on business moves, and nerd out on the latest nutrition research studies. It was a natural next step to combine our private practices and be able to serve our clients better as a team. Nashville Nutrition Partners: As a group, we hope to help more people improve their health and improve their lives. 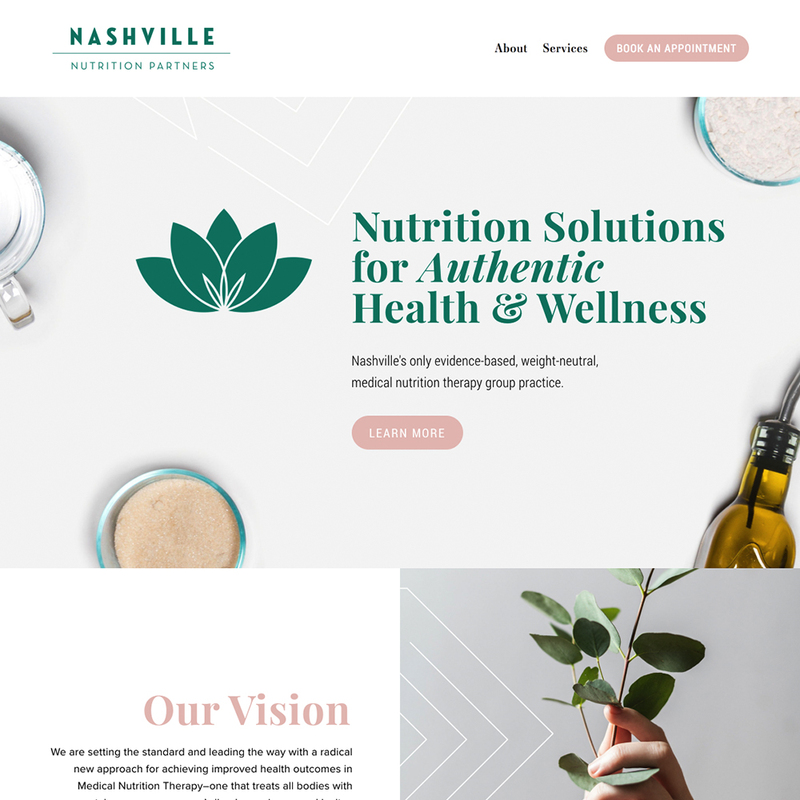 Nashville Nutrition Partners: We wanted an amazing website and we wanted a process that kept us accountable to a timeline. Restyle does just that! GO LIVE: ANYTHING ELSE YOU WANT TO GET OFF YOUR CHEST? Follow them on Instagram for some wellness inspo!